Another childhood favorite. I must've read this series a dozen times. This is the book that awakened my love of reading. When I was younger, elementary school age, I hated reading. It was a chore. My mom is a teacher and she would go to conferences and bring back samples of books. This was a sample she brought home one time. She gave it to me and it went straight on my floor with the rest of my junk.One night in fourth grade I was having a fit of insomnia and I picked up this book. I read the entire thing, on a school night. I hated reading, and this book is one I couldn't put down.One of the wonderful things about this series of books is the inclusion of many different cultures. 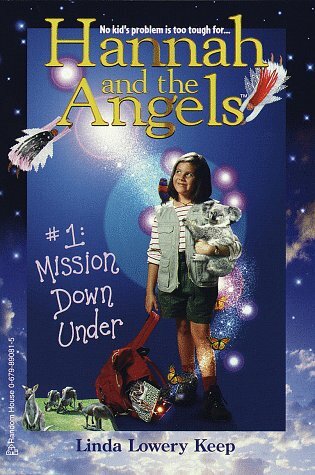 I learned what a didgeridoo was from reading this book, and I was probably one of the few of my classmates who would have known something like that.Reading Hannah and the Angels is a feel-good experience. Education is slid right into a book a child will enjoy reading. Wonderful, wonderful book. A book I loved in my younger years.I have a signed copy by the author on my bookshelf!